Contact us to put your name on the WAITING LIST for this popular event! 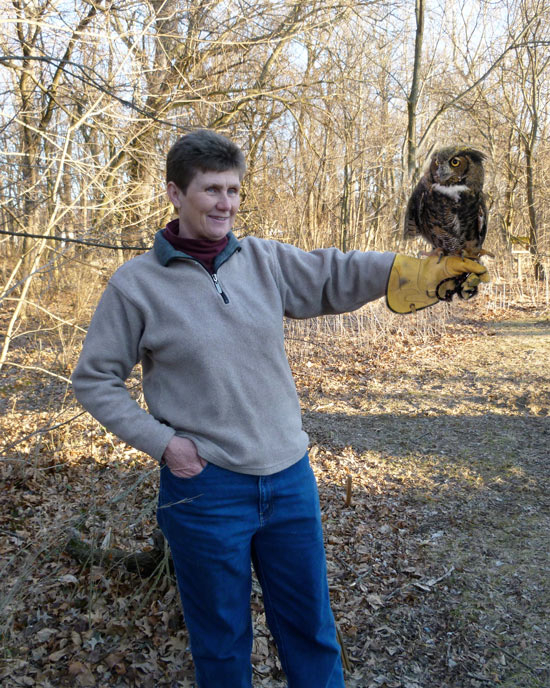 Naturalist Lori Schlosser will conduct this outdoor walk to areas of Renfrew Park most likely to attract owls, including Screech, Barred, and Great Horned owls. A brief pre-walk information session will help participants learn more about these nocturnal creatures and the methods used to locate them. The walk is is geared toward families and children are welcome, but must be accompanied by an adult. Dress warmly and bring flashlights. This event is free (donations accepted). Enrollment is limited to 60 and pre-registration is required; register by calling (717) 762-0373 or via email at info@renfrewinstitute.org. A storm date will be determined later if needed. 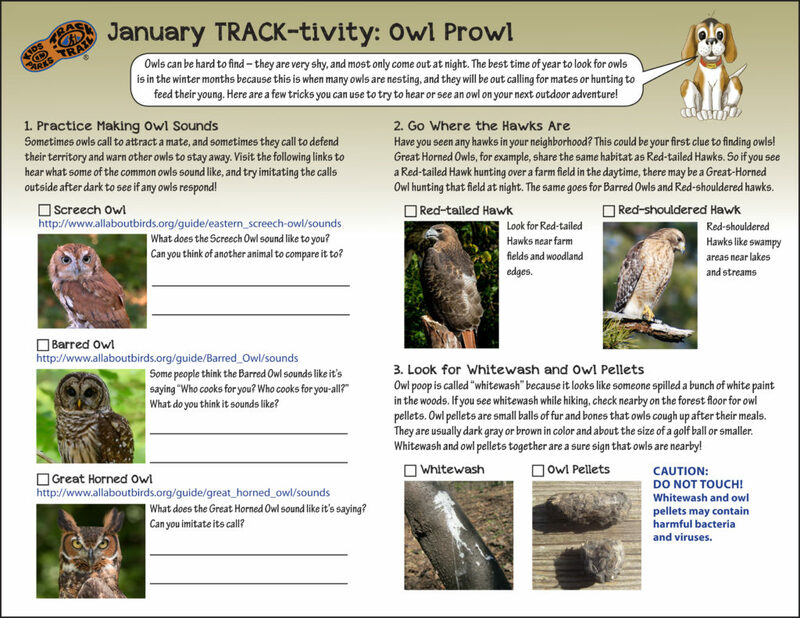 Check out the Owl “Track-tivity” chart below!